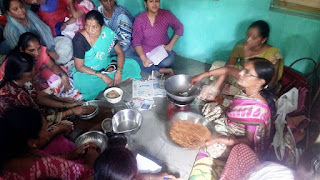 Pune, April 2017: The Don Bosco Development Society (DBDS) Koregaon Park organized a 5 days training workshop on spice making. 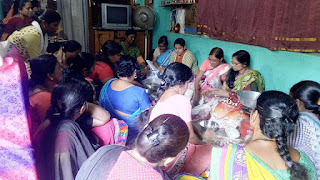 20 women residing in the slums of Pune completed the entire training; the idea being that these women earn a little extra income working from home in their spare time. This training workshop was organized under the “Women empowerment Project” funded by Manos Unidas (Spain). 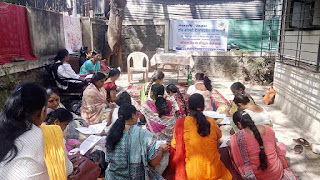 DBDS (Koregaon Park) team identified the participants after surveying the income generation needs of Self Help Groups women in the slums of Pune. This training was held for 4 days; 14 different types of spice making were taught to participants. 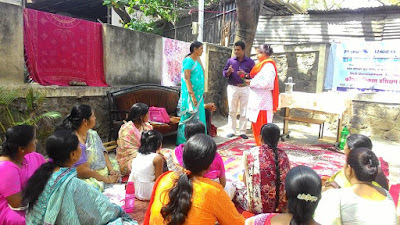 Mrs Rajani Attarde and Mrs Ramani Pillai were the resource persons, from the organization of Kasturba Mahila Khadi Gramodyog Vidyalaya, Pune. 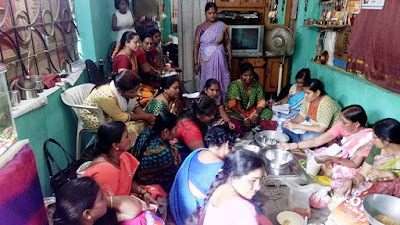 The spices taught were: Goda Masala, Sunday Masala, Garam Masala, Pulav Masala, Pavbhaji Masala, Chhole Masala,Sambar Masala, Tea Masala, Chat Masala, Kanda lasun Masala, kolhapuri Masala, kachhi dabeli Masala, Jaljira and Malvani Masala. The SHG women were very happy after completing the training and would soon venture into small business of making and selling spices.